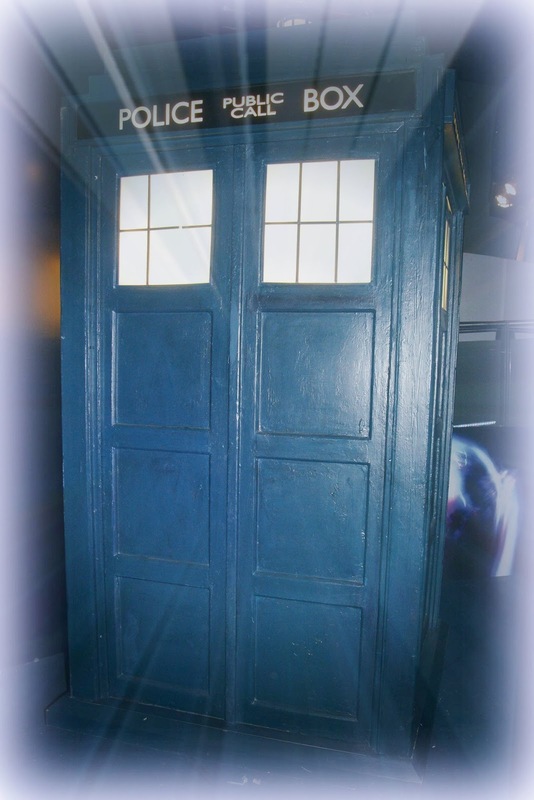 Genealogy Blog Party April 2016: Time Travel to an Ancestor! Elizabeth O'Neal of the blog Little Bytes Of Life is hosting a Genealogy Blog Party and I have decided to take part in it because it looks like a lot of fun. The theme for this month has a sci-fi spin to it. What if you could time travel to an ancestor! Oh how I wish I could do this for real. There's nothing that I wouldn't like better than going back in time to visit with my great grandma Ellen "Ella" Kerr Smith Dixon. She went by a few different names, right?! "Ella" as I refer to her has been the cause of me losing a lot of sleep over the years. You can read more about her in these posts. If you are new to my blog I'll give you a brief summary of who Ella was to me. She's my paternal great grandmother who was born around 1882 in Sampson County, NC. Her parents were a Henry Kerr and Tina/Tena Murphy who owned and farmed their own land in Franklin Township in Sampson County. The family was established in the community and had a good support network of friends and extended family in the area. Which brings me to the first question I would ask Ella. 1)Why would did she leave Sampson County? Farming was not an easy life but the Kerr family was able to make a living off the land that they owned. Perhaps she was a bit of a wild child, someone who had a tough time listening to her parents. In 1900, I believe Ella was residing with members of her extended family in Colly Township in Bladen County, NC. Maybe she kept getting into trouble at home and that's why she was sent off to live somewhere else. Whatever the reason was for my great grandmother's move, I have to be thankful for it. It set things in motion for me to exist. 2) Was she running away from the law? My father and I are rather curious to the answer to this question. My grandmother Ethel Smith Murrell told my father that her mother did not like being photographed. In fact, she avoided it. Was this the reason for the no photograph policy? 3) To learn about her personality, I would ask my great grandma Ella, what she liked to do for fun? Also, what was her happiest childhood memory? Saddest? 4) I'd ask her if she could remember any oral history that had been shared with her about the family. Was she told any stories about what her family endured during slavery. 5) My current obsession with my research has been trying to break down the brick wall of who my 3rd great grandfather Jacob Kerr's parents were. Jacob Kerr was also from Sampson County and he was Ella's grandfather. Jacob Kerr died in 1895 so there was an opportunity for her to know her grandfather. Perhaps Jacob shared some family stories with her. 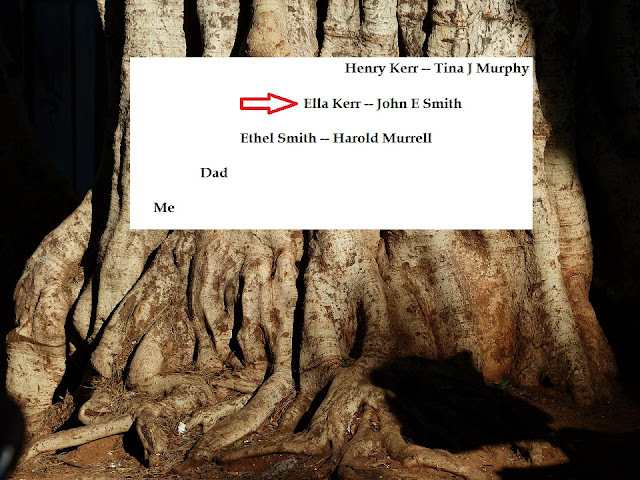 I'd definitely ask Ella to tell me what her grandfather was like. Now if I had the chance to ask Ella these questions, I would know better than to share with her who I was. I would maybe introduce myself as some sort of distant cousin. This way she might understand why I had all these questions regarding the family and not get too suspicious. If I told her I was her great granddaughter I don't think I would get a peep out of her. Knowing her history, she probably would run off and never be seen again if I revealed my true identity. I wouldn't attempt to bring my Ellen "Ella" Kerr Smith Dixon to the future either. I don't think she could handle it. I think I would just somehow try to sneak a few pictures of her on my smart phone before traveling back home in time. Sounds like a great project! Often wish I could time travel back and ask questions. I'll go look at it. Maybe there is a way i can mix it in with my A to Z. Otherwise I will have to wait. This challenge is eating all my time! I know the A-Z Challenge is eating all your time. You amaze me Kristin with your ability to keep up with it and write really interesting posts. I knew with my schedule recently, I wouldn't be able to commit this year to it. Perhaps next year. Yeah I know what you mean. Good luck with that right. Thanks for stopping by. I guess every family has them. Thanks for your comment Grace. My favorite question is the one about her not ever wanting to have her picture taken. She might have been in hiding, but some people believed their souls were being taken or some such nonsense. Finding out the answer to #3 - her personality - would probably help answer #2. You are probably right about that. I so wish I knew more about the person she was. Thanks for stopping over. Yes I wonder why she moved away from her parents too. I have many ancestors who did that as well, and I've always guessed that the family was too poor to support all the children. But that could be because I've read too many Jane Austen-esque novels! Money could have been an issue. Perhaps she was just a restless spirit. Hopefully someday, I'll be able to learn more. Thanks for your comment. Your Ella sounds like an interesting person. About not liking to be to photographed -- maybe she thought she wasn't attractive or that her photographs didn't turn out well or truly represent what she looked like. It's frustrating to want to get to know an ancestor and have so little information. Does your grandmother know any more about her? Hi. No, that's all my grandmother knew and sadly she's not around anymore to ask. She passed away in 1996. Wish I had asked her more questions when I was a child. Thanks so much for stopping by.